Some well-placed greenery can not only brighten a space but also purify the air – and they’re also helpful in creating a more relaxing, restful ambiance in any room. We know that spending time in nature is linked to reduced stress levels and tension relief. What’s more, in a 2008 study, Dutch researchers found that hospital patients with indoor plants in their rooms reported lower stress levels than patients without them. The gel of the Aloe plant has several healing properties. Not only does it soothe skin burns and cuts, it can also help monitor the air quality in your home. 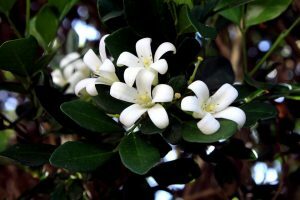 The plant can help clear the air of pollutants found in chemical cleaning products, and when the amount of harmful chemicals in the air becomes excessive, the plants’ leaves will display brown spots. Aloe Vera Plant grows best with lots of sun. NASA Scientists listed the English Ivy as the number one best air-filtering houseplant, as it is the most effective plant when it comes to absorbing Formaldehyde. It’s also incredibly easy to grow and adaptable. 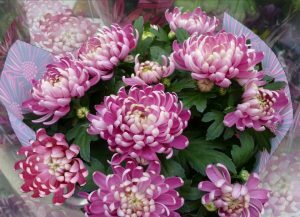 Try it as a hanging or floor plant, grow in moderate temperature and medium sunlight. The bright flowering plant battles a whole host of chemical including Xylene, Formaldehyde, toluene and Benzene. Keep it in the Lounge (In bright sunlight) so it’s anti-polluting superpowers can be best put to use. Snake Plants don’t need much light or water to survive, so they’re an easy choice for any corner of your home. The plant absorbs Carbon Dioxide and releases Oxygen during the night, so place one in your bedroom and you’ll breathe better while you sleep. It has also been proven to be extremely effective in treating headaches, eye irritation, and respiratory problems. The Golden Pothos makes the NASA list as well for its ability to clear Formaldehyde from the air. Try adding it to your Kitchen or Lounge as a hanging plant, as the leaves will grow down in cascading vines. They grow easily in cool temperatures with low levels of sunlight. Please be aware that it is considered poisonous and therefore should be kept away from small children and pets. Peacock Plants are grown for their foliage alone and it’s easy to see why. The purple, green, pink and red leaves put on quite a show. For the best display, keep the plant moist (Not drenched) and avoid bright light. As part of the Olive family it normally grows outside, but can live inside just as well. 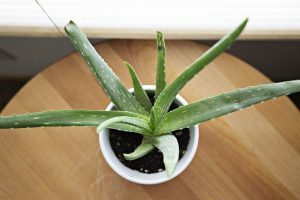 This plant should be more specially placed in the bedroom as it promotes sleep quality by emitting scents that have shown to make for better sleep, as well as increase your levels of alertness.